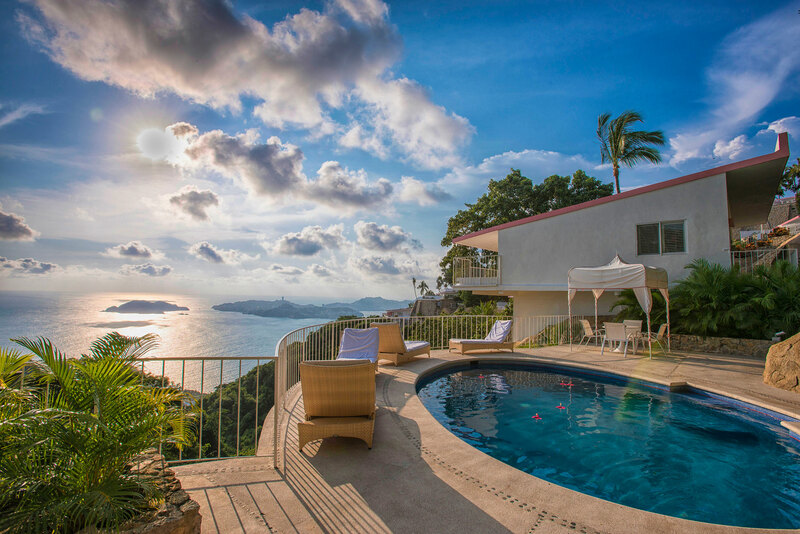 Perfect for friends or family traveling together but staying in separate accommodations, each of these casitas share a pool with 2 to 3 other casitas. 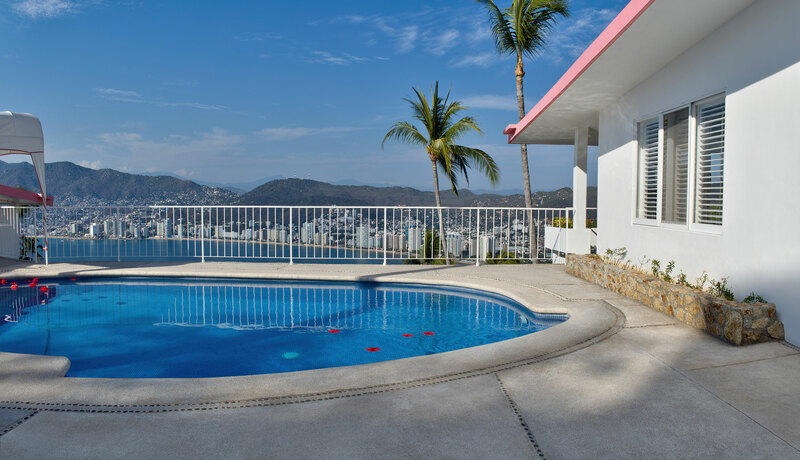 These one-room casitas have private swimming pools and breathtaking views of the Acapulco Bay or Pacific Ocean. 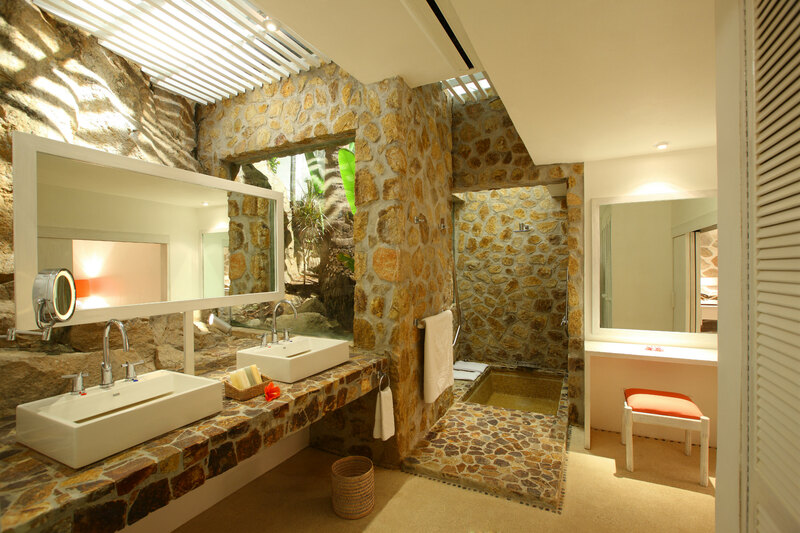 Each of these casitas are unique and special. 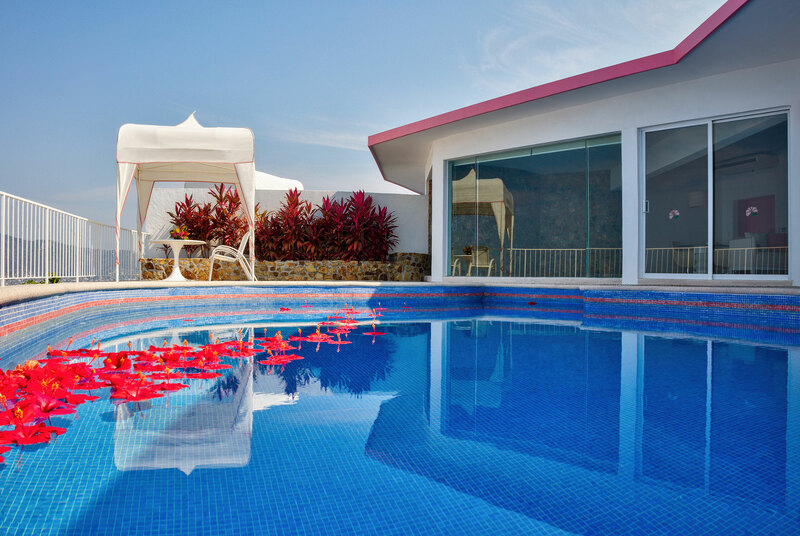 They offer great luxury, private pools, large terraces and much more. 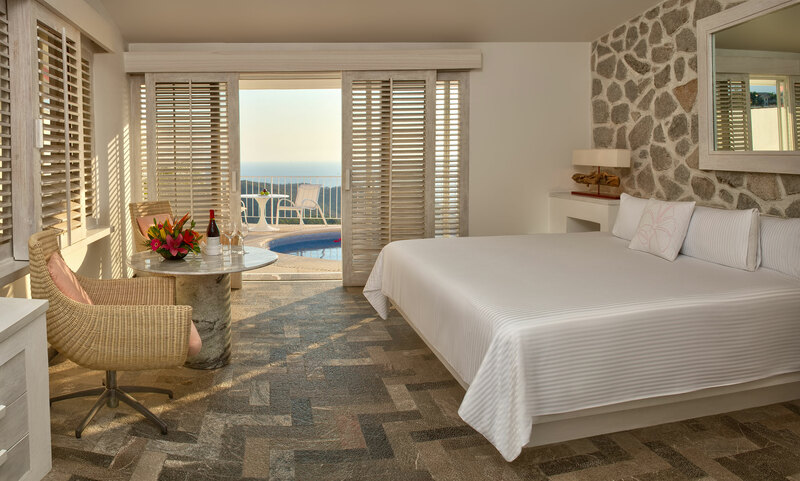 Ask about the option of Casitas Deluxe with multiple rooms. 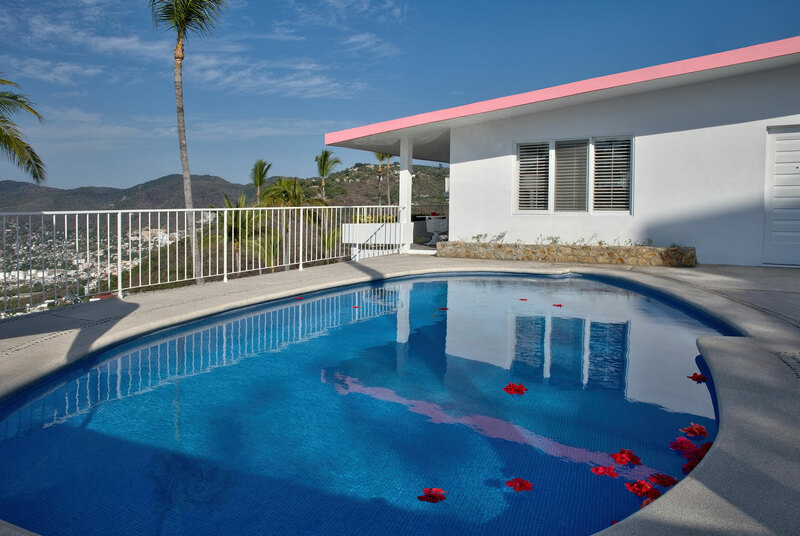 Ideal for groups traveling together but staying in their own private casitas, these accommodations feature a pool that you share with 2 or up to 3 other casitas. 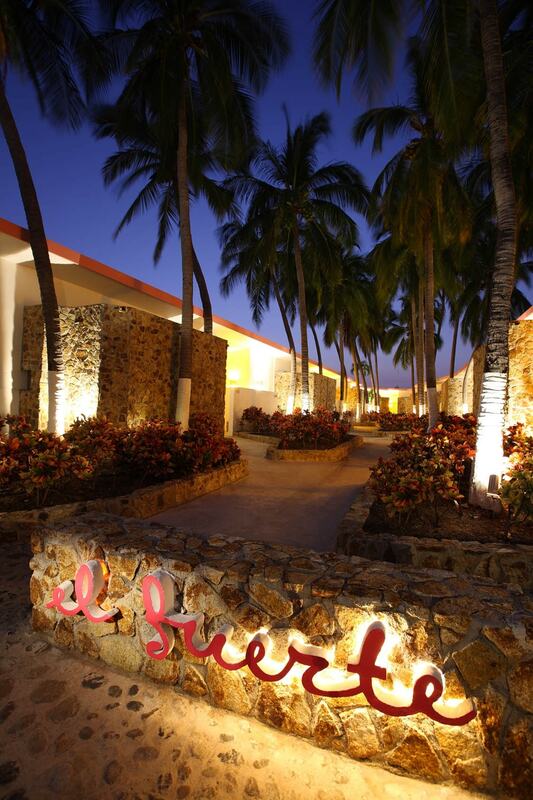 Each has a king bed or 2 double beds and are located on the first and second levels of the resort. These are meant for 2 adults and 2 children under 12 years old or 3 adults without children. 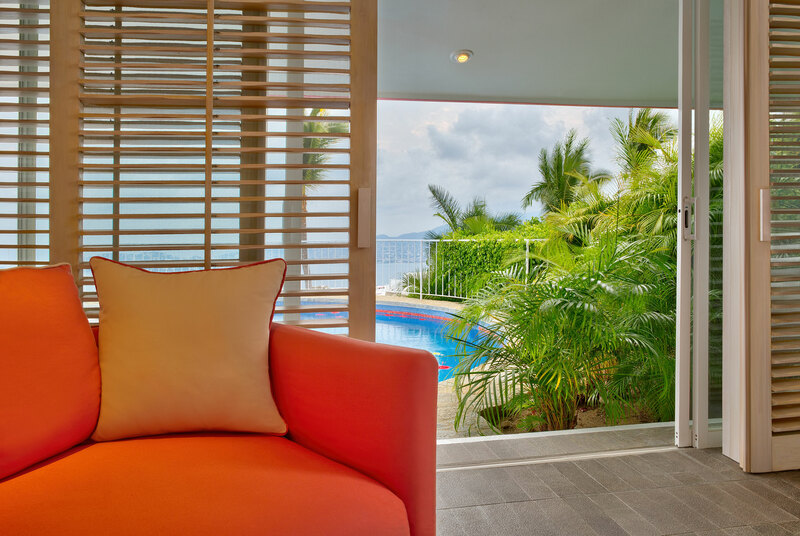 Terrace, daily Brisas Breakfast (sweet bread selection and coffee) delivered to your Casita, private bathroom, plasma or LCD TV with cable, air conditioning, ceiling fan, minibar, turndown service. Bathroom amenities: "Neutrogena", hair dryer, sewing kit, iron and ironing board, cribs available, in-room childcare available for additional charge. 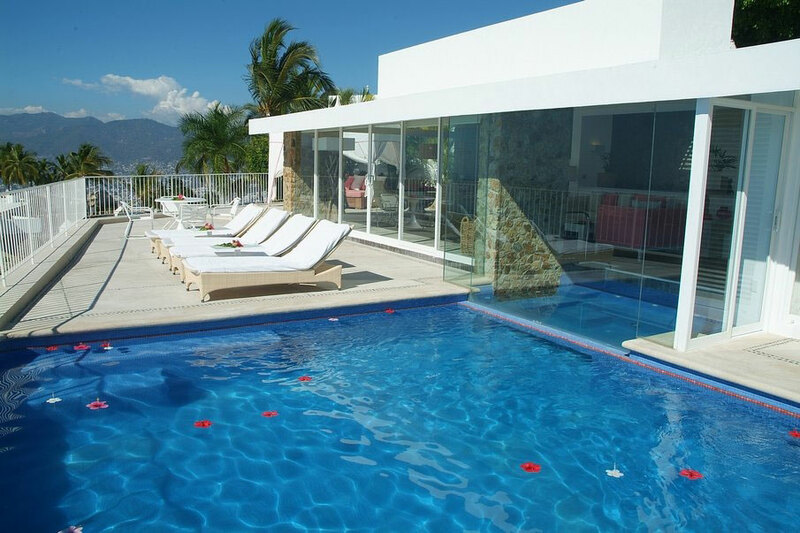 Enjoy the quiet tranquility of your own pool in these Private Pool Casitas. 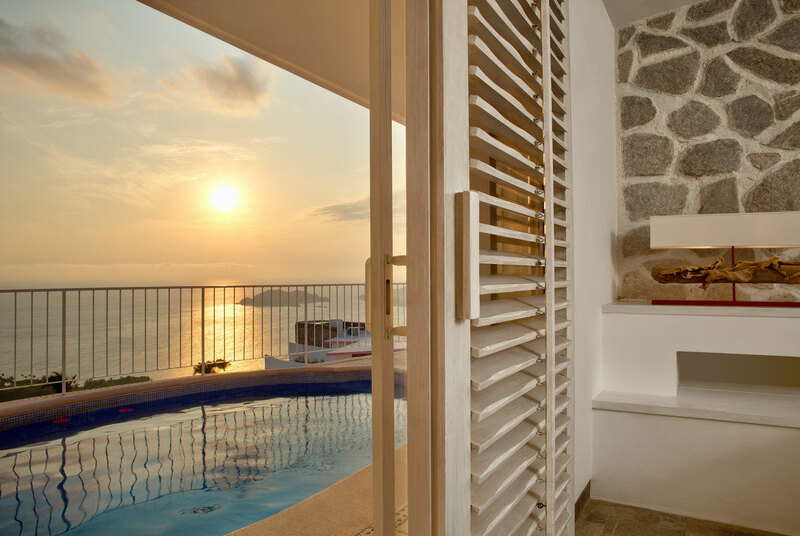 Each has a king bed or 2 double beds and are located on the second and third levels of the resort. These are meant for 2 adults and 2 children under 12 years old or 3 adults without children. 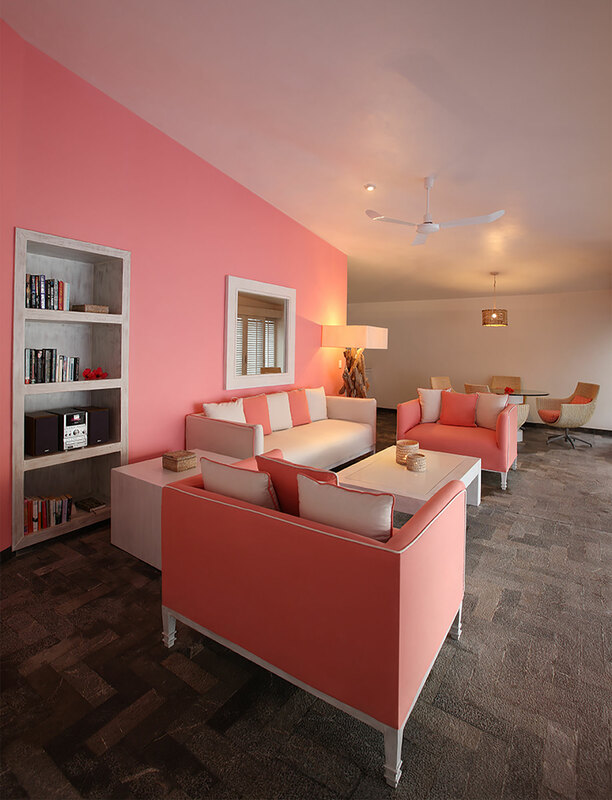 Sitting on top of the hill, in the fort area of the fourth level, these suites are sought-after for their privacy. 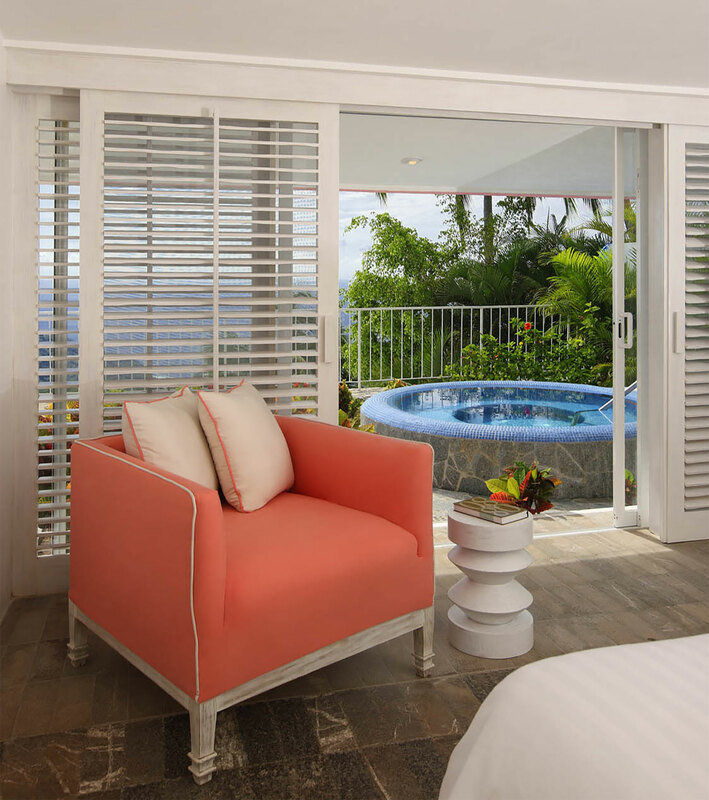 Featuring recently renovated bathrooms, a private swimming pool, and a king bed, the Junior Suites are ideal for couples looking to relax. No minors are allowed in this category. 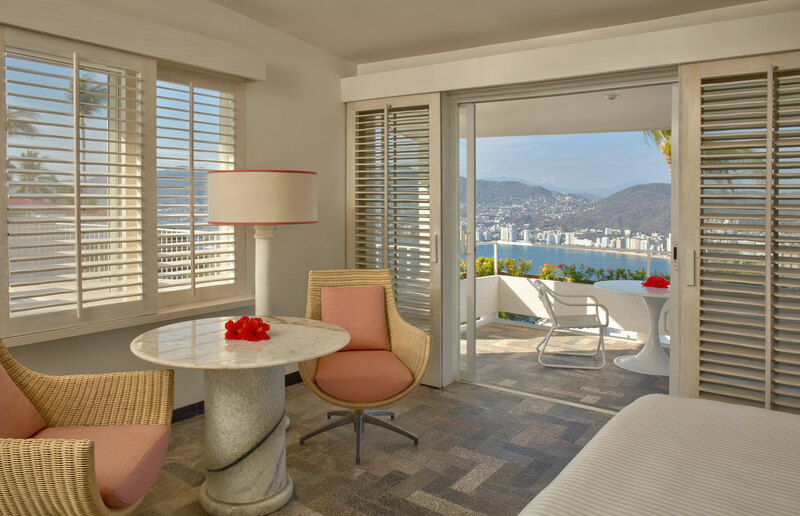 Terrace, daily "Brisas" Breakfast (sweet bread selection, fresh fruit and coffee) delivered to your suite, private bathroom, plasma or LCD TV with cable, air conditioning, ceiling fan, minibar, turndown service, bathrobes. Deluxe bathroom amenities: "La Source", hair dryer, sewing kit, iron and ironing board, hors d´oeuvre daily during your stay. Welcome bottle of wine, Casita Sign and slippers. 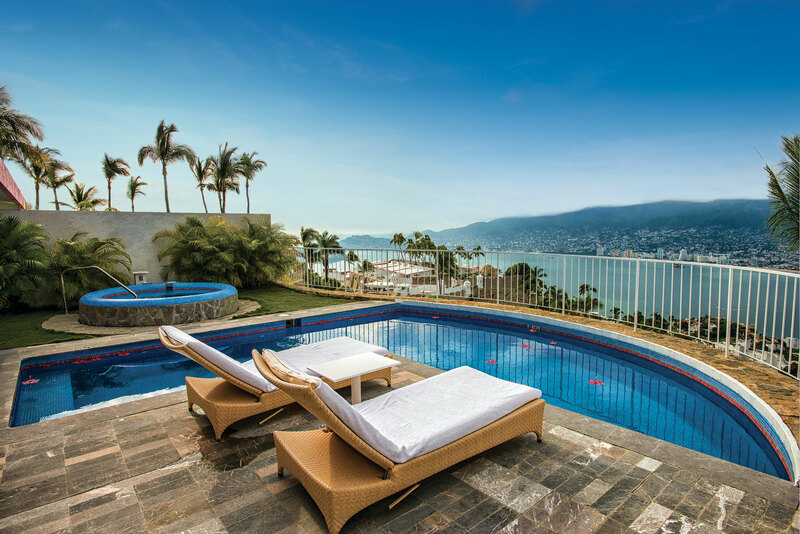 Located on the highest level of the resort, the Master Suites have breathtaking views of either Acapulco Bay or the Pacific Ocean. 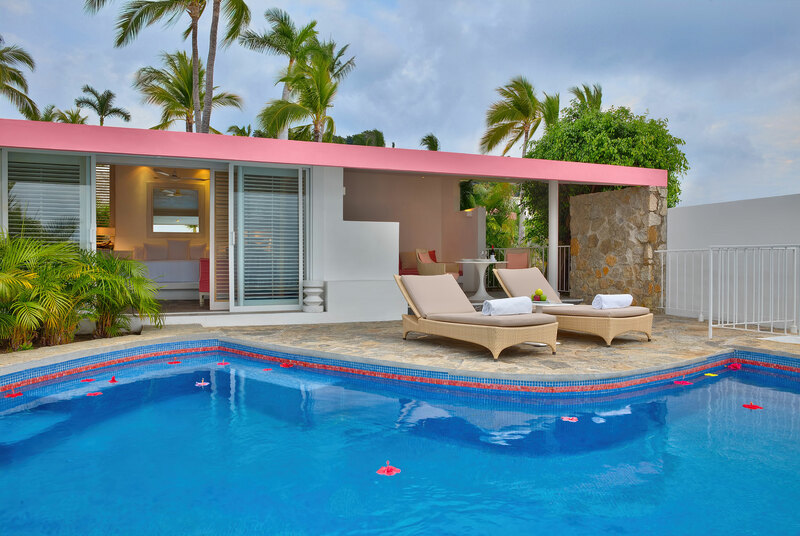 Larger than our Junior Suites, each features a terrace with a wide outdoor area, a private pool, a recently renovated bathroom, and a king bed. These are meant for 2 adults, no minors are allowed in this category. 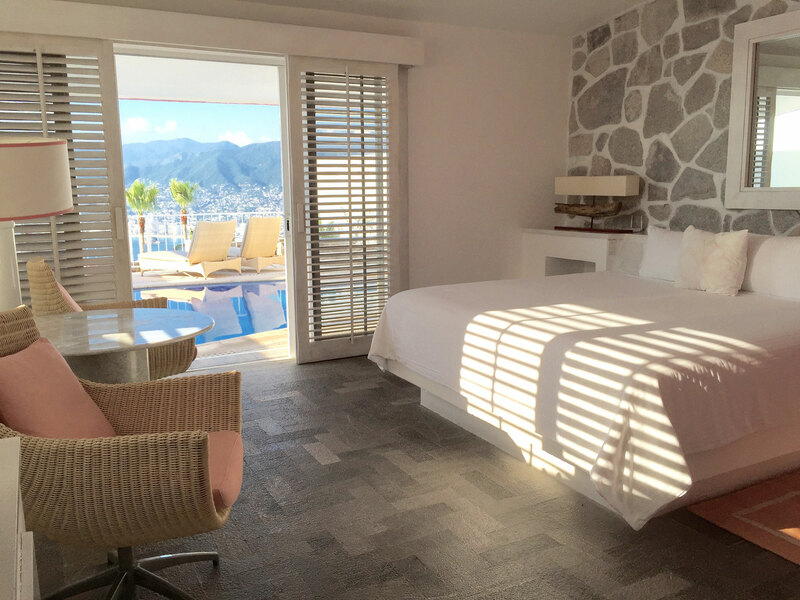 Terrace, daily "Brisas" Breakfast (sweet bread selection, fresh fruit and coffee) delivered to your suite, private bathroom with massage shower and glass ceiling, plasma TV with cable, air conditioning, ceiling fan, minibar, turndown service, bathrobes. Deluxe bathroom amenities: "La Source", hair dryer, sewing kit, iron and ironing board, hors d´oeuvre daily during your stay. Welcome bottle of wine, Casita Sign and slippers. 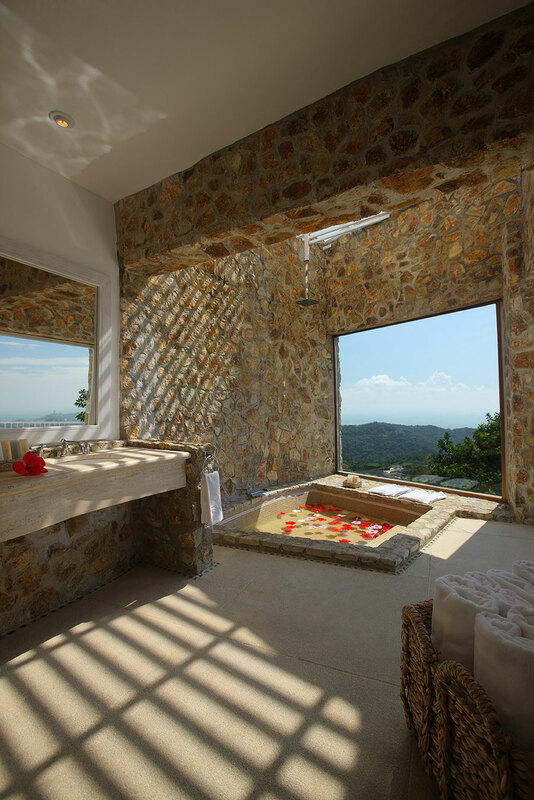 Escape to the beauty and peacefulness of the Master Suite with Jacuzzi. 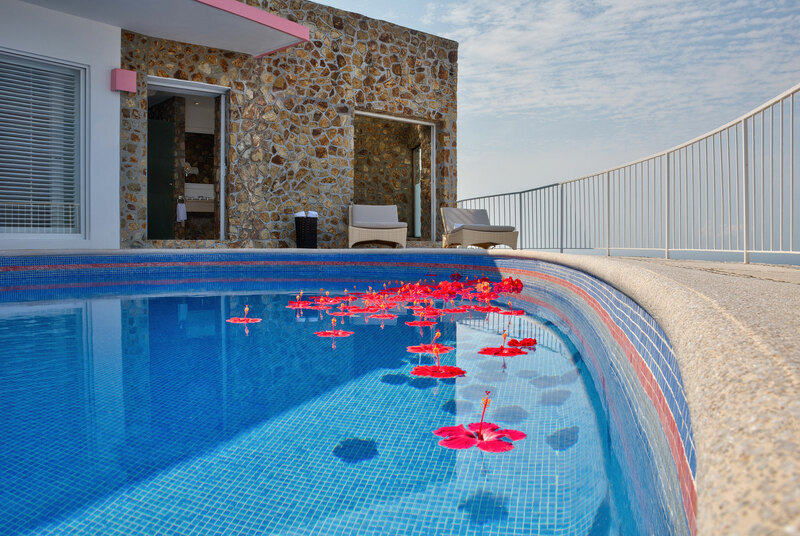 These Suites include a terrace with a private pool and wide outdoor area. 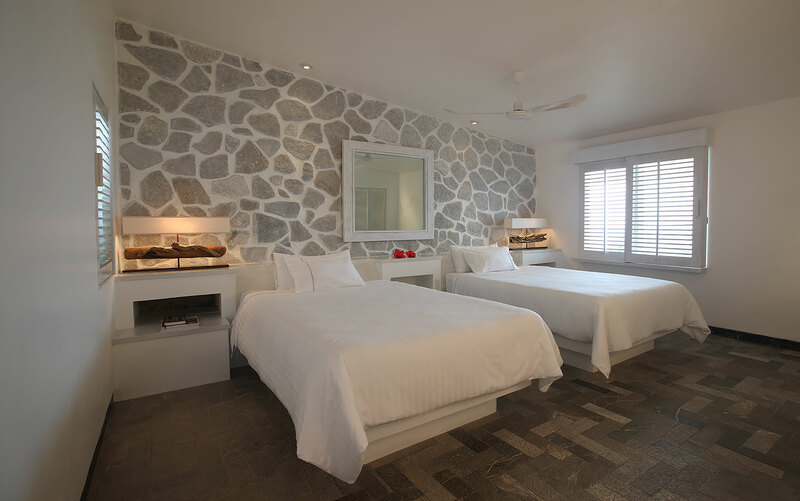 Located on the fourth and fifth levels, each has a king bed and bathroom with massage shower. These are meant for 2 adults, no minors are allowed in this category. 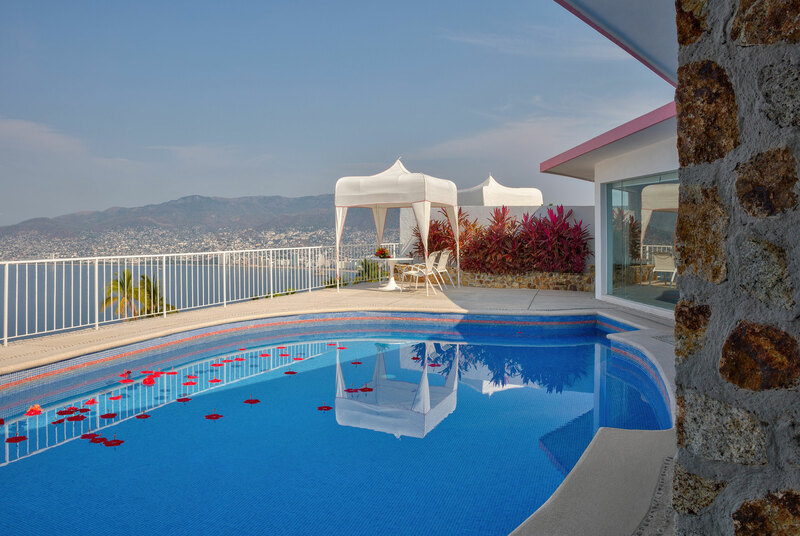 Ideal for honeymooners, these suites embody the private romance of Las Brisas Acapulco. 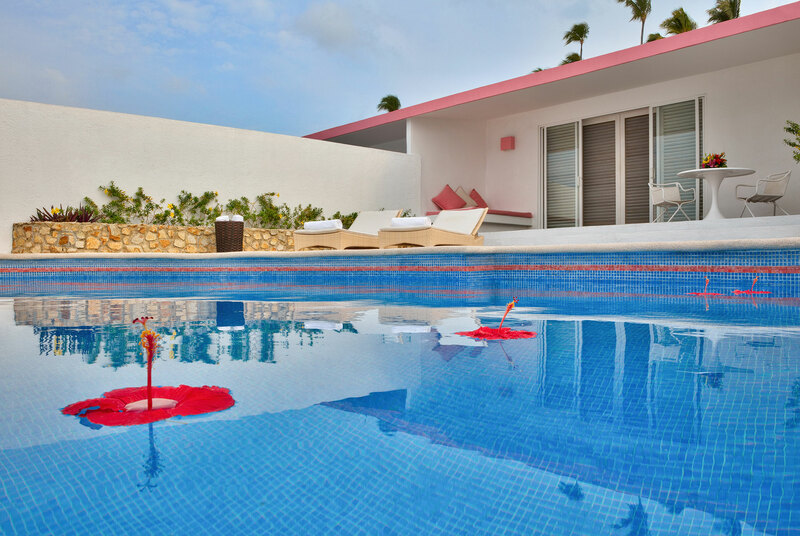 With a swimming pool that is both inside the suite and outside on the terrace, it is a true escape. 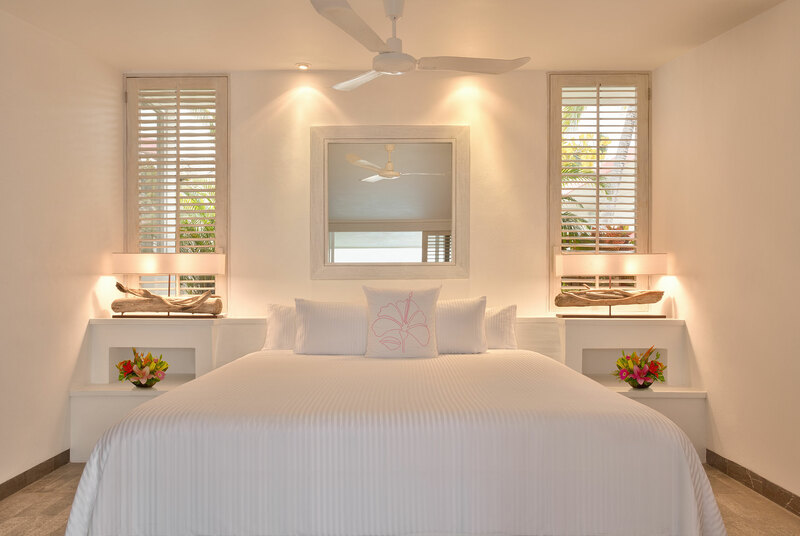 Each suite includes a king bed, a living room, a dining room, and 2 bathrooms. These are meant for 2 adults, no minors are allowed in this category. 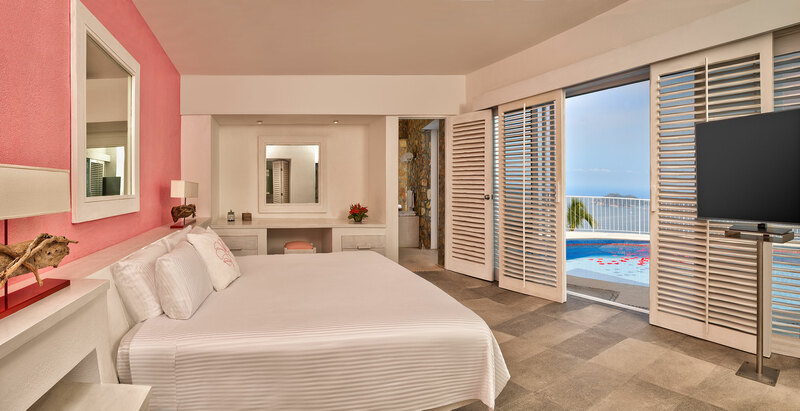 Terrace, daily "Brisas" Breakfast (sweet bread selection, fresh fruit and coffee) delivered to your suite, 1 private bathroom with massage shower and glass ceiling, 1 additional bathroom, plasma TV with cable, air conditioning, ceiling fan, minibar, turndown service, bathrobes. Deluxe bathroom amenities: "La Source", hair dryer, sewing kit, iron and ironing board, hors d´oeuvre daily during your stay. Welcome bottle of wine, Casita Sign and slippers. 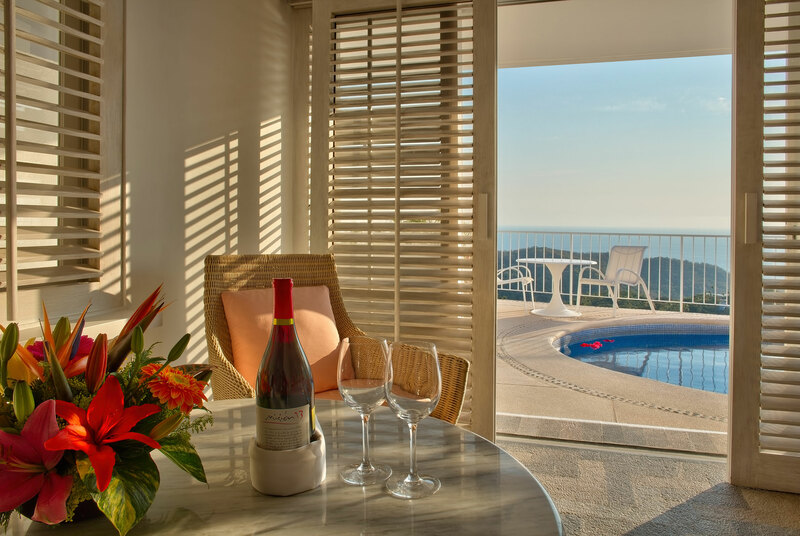 Located on the fourth level, this two-bedroom suite has gorgeous views of the Pacific Ocean. 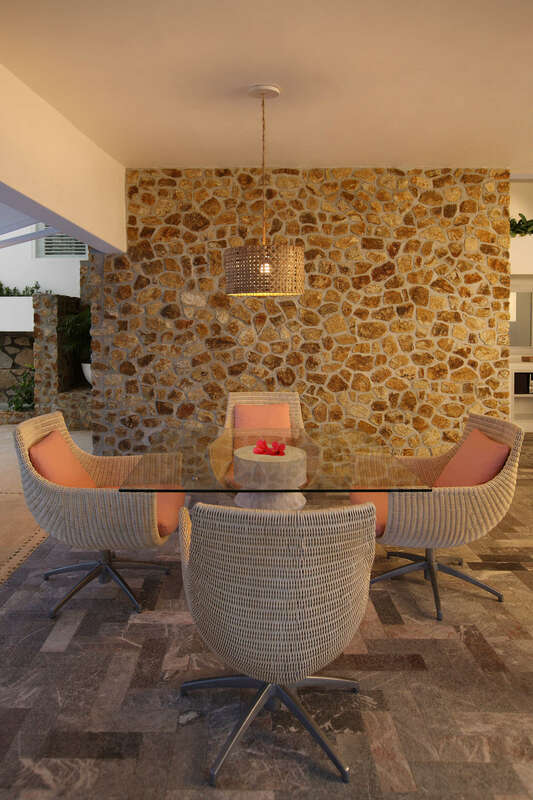 Enjoy the luxury of extra space with a separate dining area, a living room, 2 bathrooms, and a terrace with a private pool and jacuzzi. Best suited for 6 people (including children), this suite has one bedroom with 2 double beds and one bedroom with a king bed. 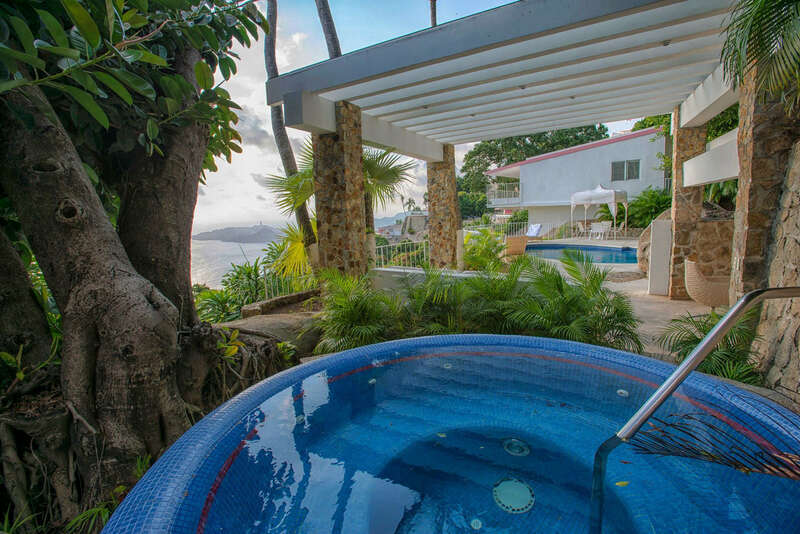 Jacuzzi, terrace, "Brisas" Breakfast (sweet bread selection, fresh fruit and coffee) breakfast delivered to your suite, 2 private bathrooms with massage shower and glass ceiling, plasma TV with cable, air conditioning, ceiling fan, minibar, turndown service, bathrobes. Deluxe bathroom amenities: "La Source", hair dryer, sewing kit, iron and ironing board, cribs available, in-room childcare available for additional charge, hors d´oeuvre daily during your stay. Welcome bottle of wine, Casita Sign and slippers. Experience total relaxation in this two-bedroom suite. 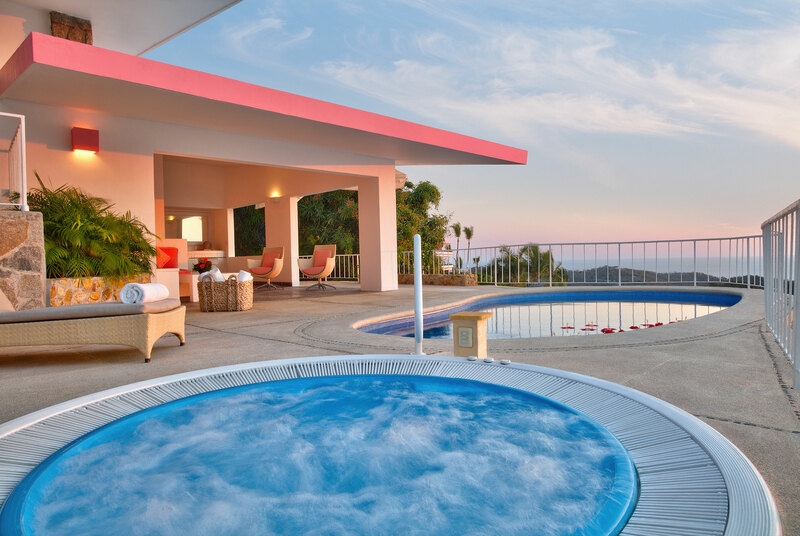 With a terrace that features a grotto-style Jacuzzi and a private pool, La Encantada feels like a true escape. 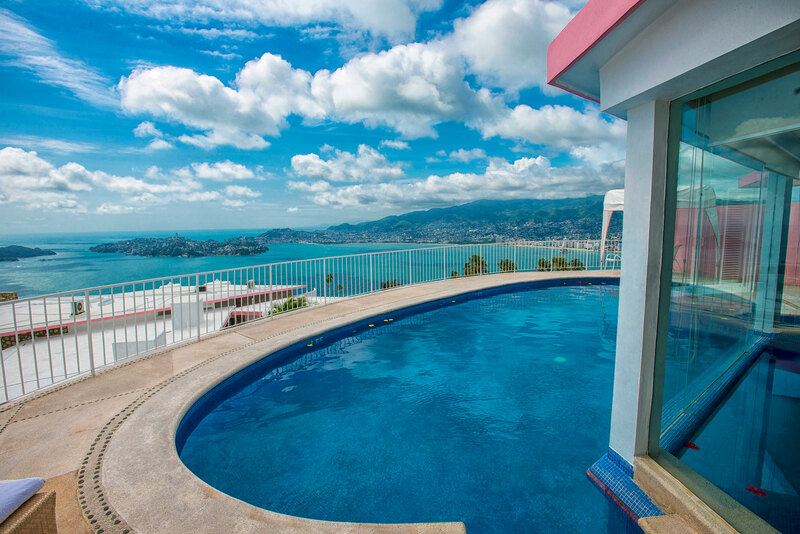 View to the Acapulco Bay. The suite also includes 2 bedrooms (1 with a king bed and the other with 2 double beds), 2 bathrooms, a living room and a dining area. It can fit 6 people (including children). 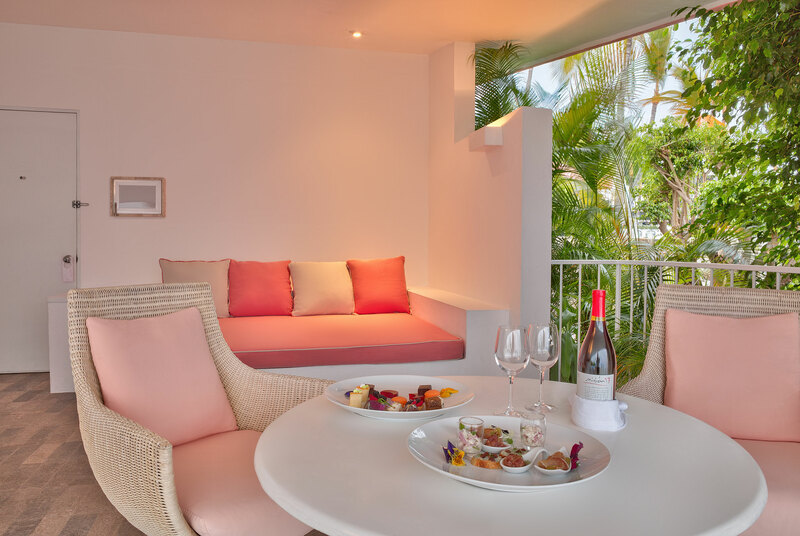 Terrace, daily "Brisas" Breakfast (sweet bread selection, fresh fruit and coffee) delivered to your suite, 2 private bathrooms with massage shower and glass ceiling, plasma TV with cable, air conditioning, ceiling fan, minibar, turndown service, bathrobes. 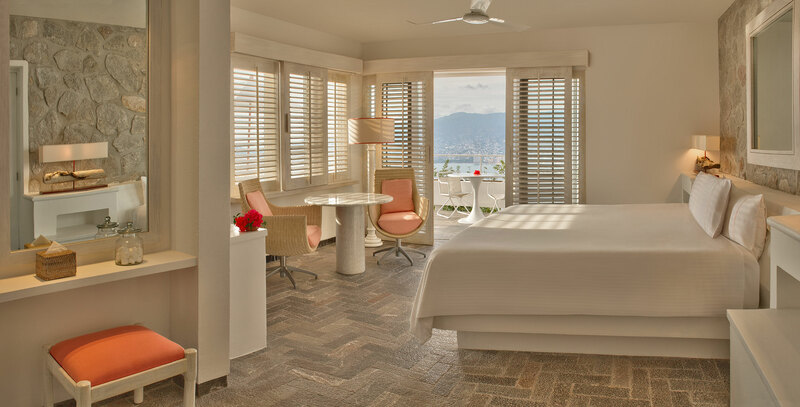 Deluxe bathroom amenities: "La Source", hair dryer, sewing kit, iron and ironing board, cribs available, in-room childcare available for additional charge, hors d´oeuvre daily during your stay. Welcome bottle of wine, Casita Sign and slippers. 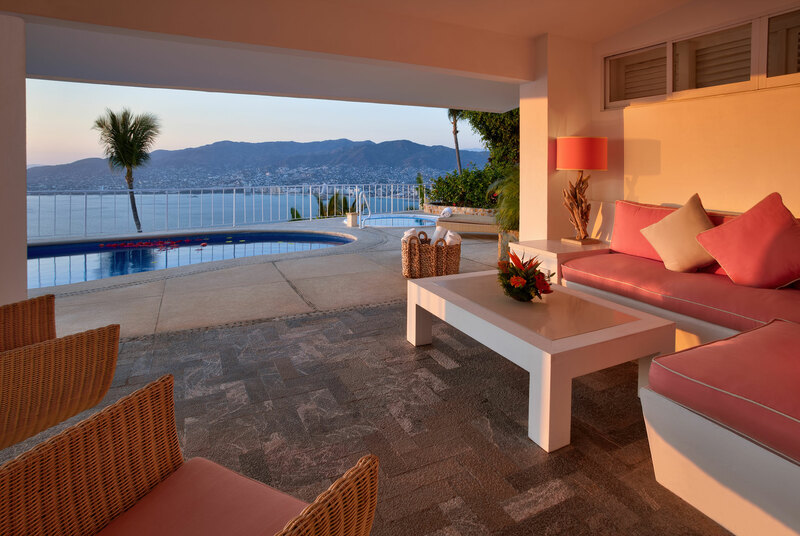 Located on the third level, this three-bedroom suite has incredible views of Acapulco Bay from its extensive terrace. 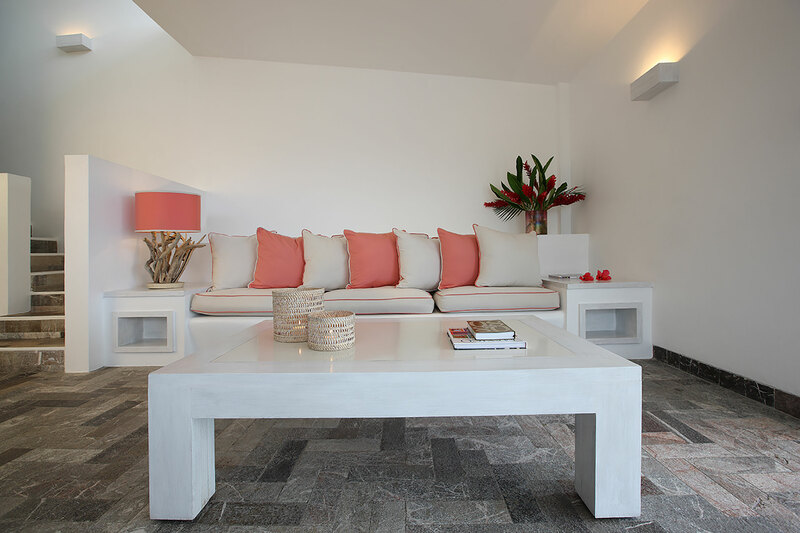 Suited for 8 people (including children), Villa Ramona has 2 rooms with king beds and 1 with 2 double beds. 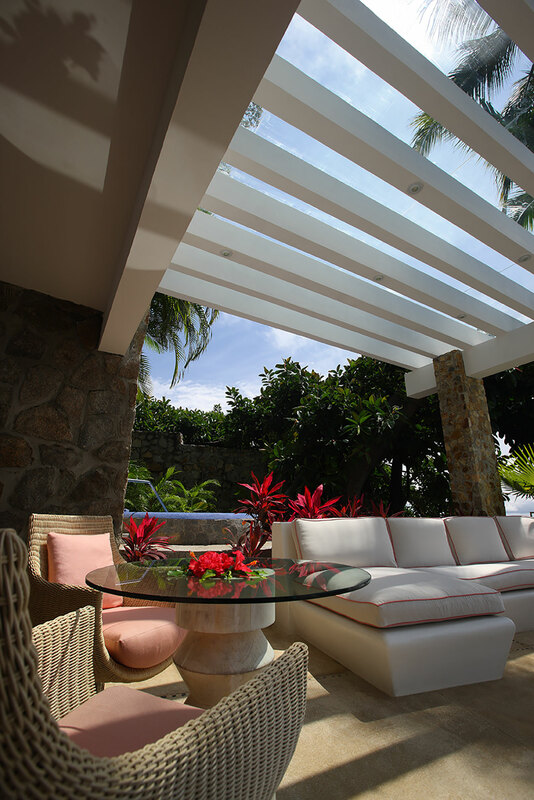 This spacious suite also includes a living room, dining area, 3 bathrooms, and a private pool. 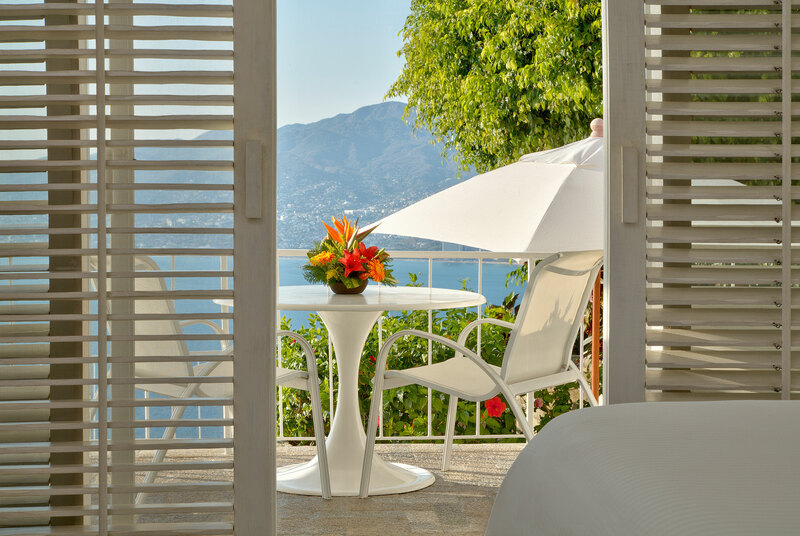 Terrace, daily "Brisas" Breakfast (sweet bread selection, fresh fruit and coffee) delivered to your suite, three private bathrooms with massage shower and glass ceiling, plasma TV with cable, air conditioning, ceiling fan, minibar, turndown service, bathrobes. Deluxe bathroom amenities: "La Source", hair dryer, sewing kit, iron and ironing board, cribs available, in-room childcare available for additional charge, hors d´oeuvre daily during your stay. Welcome bottle of wine, Casita Sign and slippers. 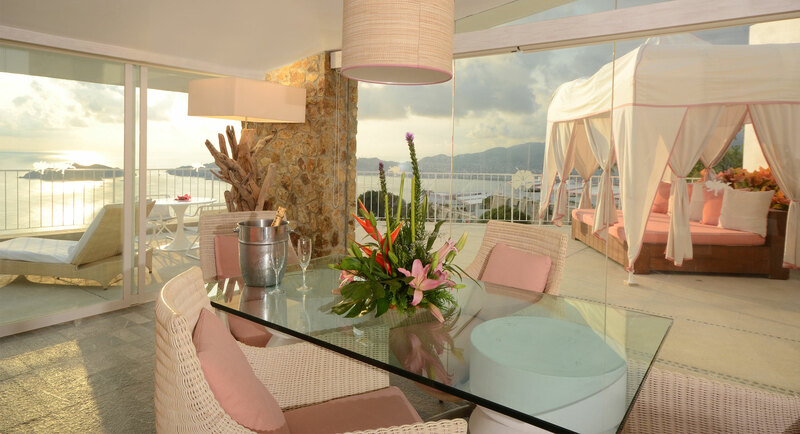 Our most luxurious suite, La Roqueta has an expansive terrace with an outdoor living and dining area. 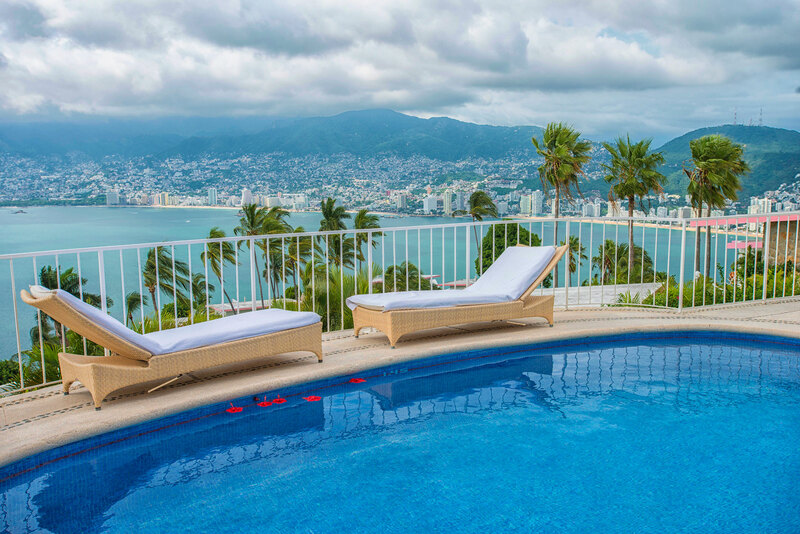 From here, you can enjoy breathtaking views of both Acapulco Bay and the Pacific Ocean. The master bedroom has a king size bed. 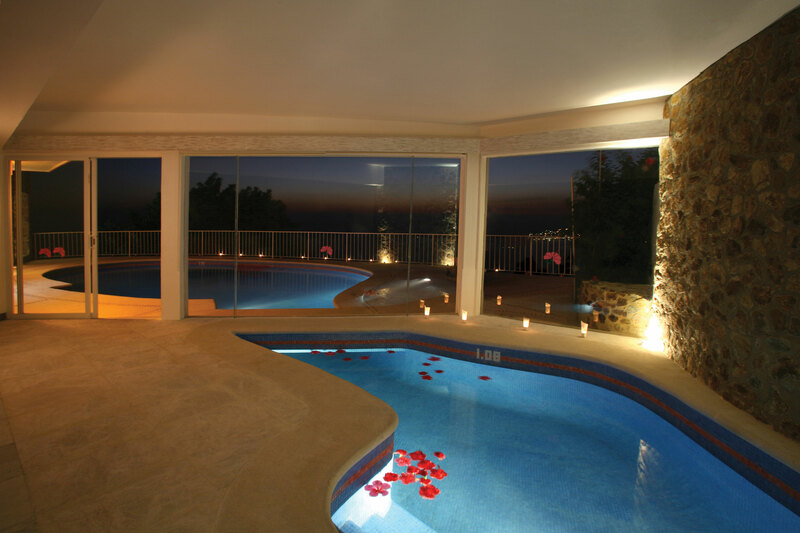 Jacuzzi inside the living room. The second bedroom also features a king bed. 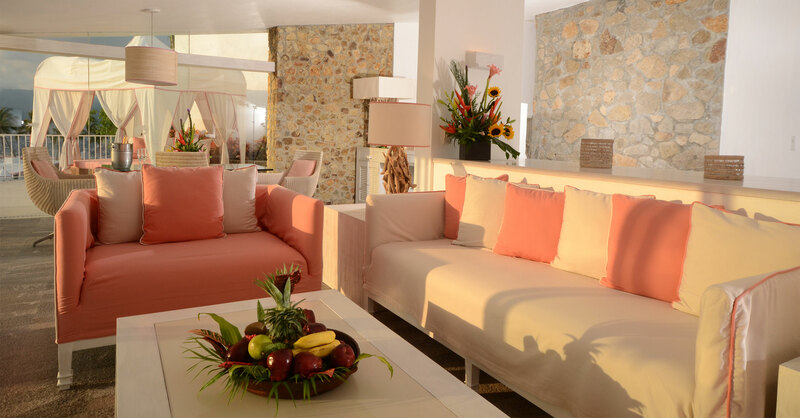 The suite includes an indoor living room, a dining room, and two bathrooms. 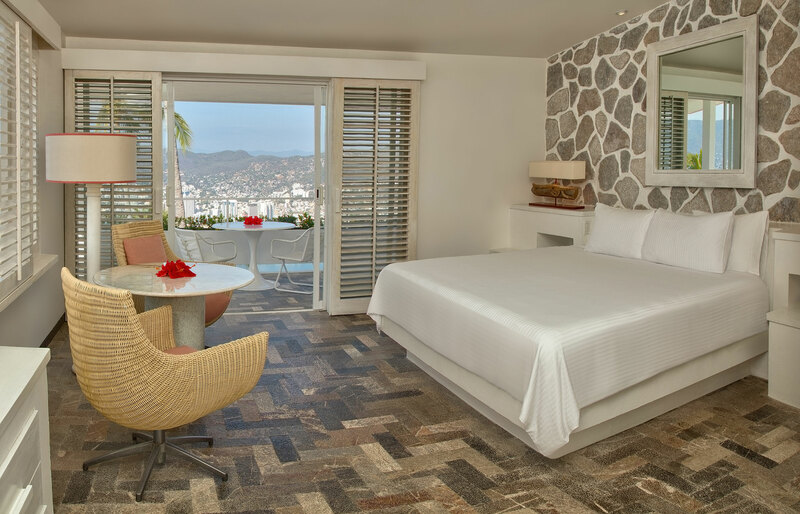 Terrace, daily "Brisas" Breakfast (sweet bread selection, fresh fruit and coffee) delivered to your suite, private bathroom with massage shower and glass ceiling, plasma TV with cable, air conditioning, ceiling fan, minibar, turndown service, bathrobes. Deluxe bathroom amenities: "La Source", hair dryer, sewing kit, iron and ironing board, hors d´oeuvre daily during your stay. Welcome bottle of wine, Casita Sign and slippers. Cribs available, in-room childcare available for additional charge. 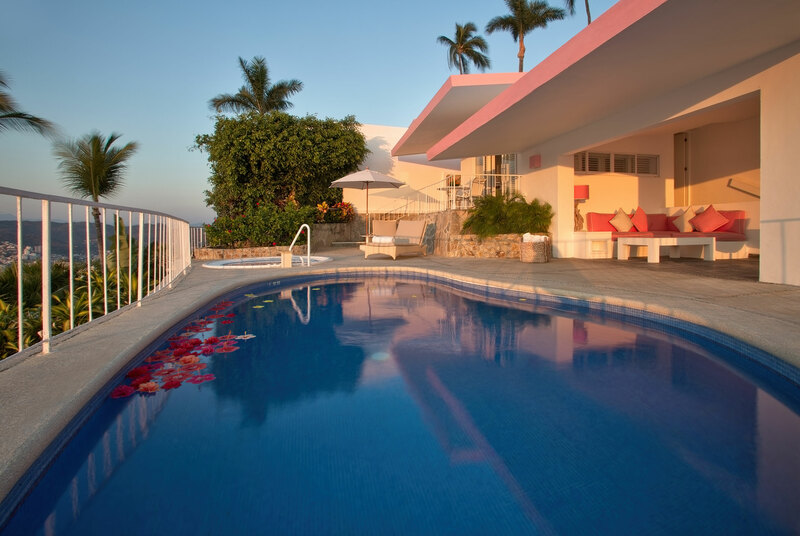 Experience the serenity of your own private pool in the Brisas Beach Club casitas. Located on the third and fourth levels, these are reserved for adults only. Each features a king bed. Daily "Brisas" Breakfast (sweet bread selection, fresh fruit and coffee) delivered to your casita, private bathroom, plasma or LCD TV with cable, air conditioning, ceiling fan, minibar, turndown service, bathrobes. Bathroom amenities: "Neutrogena", hair dryer, sewing kit, iron and ironing board, hors d´oeuvre daily during your stay and a welcome bottle of wine.